The three-way Kawero! Classic has two front-firing drivers, one in each of two stacked modules. Its claimed bandwidth is 25Hz-60kHz, with impedances of 6 ohms nominal and 4 ohms minimum. 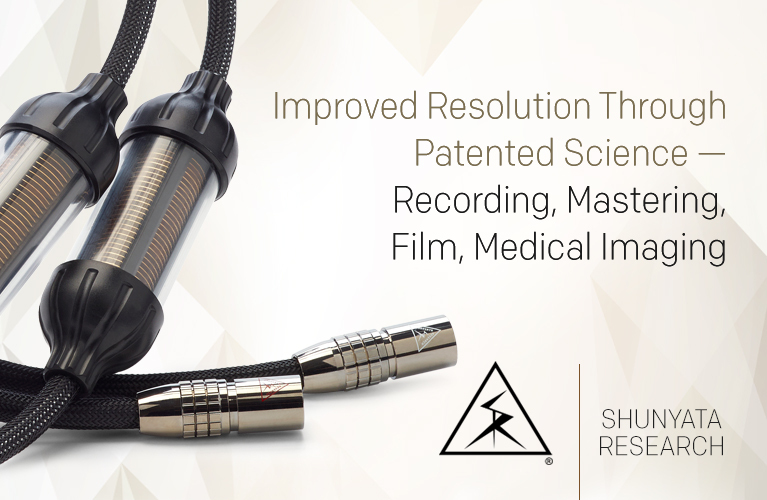 The tweeter, a 2.5” RAAL 70-20 XR ribbon, is custom-made in Serbia and uses a transformer that is wired with a silver-gold-palladium alloy. It is housed in its own small enclosure atop the main cabinet. The tweeter enclosure’s position can be adjusted from front to back through a range of about 3cm, and toed in to achieve a closer match of dispersion characteristics with the midrange driver. Louis Motek of LessLoss, Kaiser’s North American distributor, gave me a good starting point for placement of the tweeter module. I adjusted it slightly from there to suit what sounded to me like the most neutral tonal balance. The Kawero! Classic’s other drivers are made in Denmark by Audiotechnology, and have custom cones made of a sandwich of carbon fiber and paper. The 7” midrange is at the top of the main cabinet, just below the tweeter, and -- this is what so surprised me -- it’s loaded by an 8” passive radiator that fires directly to the rear. This novel midrange-loading technique requires a bit of an explanation. Speaker designers have to take into account something commonly called the baffle step. As you probably know, the lower the frequency, the more its dispersion is omnidirectional. (This is why, when a subwoofer is properly integrated into a system and room, you can’t tell where the sub is by listening for where its sound is coming from.) This must be taken into account in the placements of drivers on a speaker’s front baffle. As soundwaves fall in frequency and become more omnidirectional, and start to leak around to the sides of the cabinet, the result is a 6dB decrease in the speaker’s forward-firing output. When this step down in sound-pressure level (SPL) -- the baffle step -- is measured in an anechoic chamber, you can see something between what appears to be a first-order crossover slope or a wiggly drop-off, depending on the design. 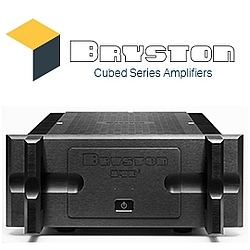 To achieve flat frequency response, designers take the baffle step into account by lowering the output of the midrange driver above the frequency at which the baffle step begins, in order to achieve a linear response through the driver’s entire passband. Instead of this padding down of output, Kaiser has done something different, based on the fact that although we hear a combination of direct and reflected sounds, the ear/brain interprets these as a single sound -- as long as they reach our ears with near simultaneity. That 8” passive radiator on the rear of the Kawero! Classic’s cabinet, directly behind the 7” midrange -- along with some contribution from rear-firing 10” woofer below the radiator -- is tuned to fill in output where this step down in the midrange occurs. Ideally, then, the total amount of acoustic energy the Kawero! Classic is putting out into the room will sum properly to give a fairly linear response at the listening position. 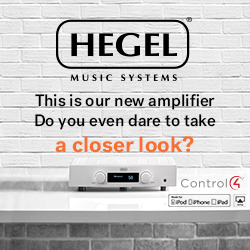 A benefit of this is that the speaker’s sensitivity can remain high because the designer doesn’t have to reduce the midrange’s output to compensate for the baffle step. The Kawero! Classic’s claimed sensitivity is 92dB/W/m. The midrange hands off at a low 60Hz to that rear-firing 10” woofer, which is mounted on the lower half of the main cabinet and is ported through the bottom of the cabinet. The vent breathes freely; the enclosure is raised on a plinth separated from the cabinet proper by three Kaiser-made spikes (Stillpoints are optional). Also on the rear is a single pair of binding posts -- no support for biwiring or biamping was available on the review samples, but that is an option at time of order. The crossover network is realized with a combination of components from Mundorf and Duelund, the two names that seem to always come up these days when discussing the best passive-crossover parts. They’re certainly far more expensive than the crossover components used in most loudspeakers. The Kawero! Classic is quite heavy at 218.3 pounds, because its cabinet is made of panzerholz (tank wood). According to the folks at Kaiser and LessLoss, “Panzerholz is a high-tech natural wood product manufactured in Germany. Under extreme heat, pressure, and moisture, the wood is compressed to half of its original dimensions. The cellulose fibers bond on a molecular level, creating an engineered wood substance not found in nature. . . . Panzerholz is known for its extremely high density (it sinks in water), its high strength (it is used as a metal substitute), and that it is bulletproof. Engineering spec sheets show that panzerholz ranks among the very best regarding its acoustical damping characteristics.” The panzerholz walls are said to be further damped by a rubbery mixture filled with glass fibers. When rapped with a knuckle, this cabinet sounds much more inert than the typical speaker enclosures of 1”-thick MDF. Although my review samples had seen some wear, having been used in demo systems at the Consumer Electronics Show and other events, I could tell that their quality of finish was quite high -- and Kaiser and LessLoss go into great detail on their websites about the finishing process each Kaiser speaker undergoes. 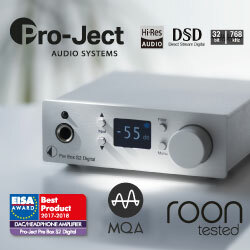 As for the cosmetic fit’n’finish and overall build quality, I’d rate it as higher than 80% of what I get in for review, if still a half step behind the very, very best -- as I saw in a direct comparison with a pair of Atria speakers from Rockport Technologies ($21,500/pair), which had just arrived. A variety of veneers and semi- and high-gloss finishes are available for the Kawero! Classic at various costs. As for the visual impression, I can’t say I loved the Kaisers’ angular look from the listening seat -- a bit more contour would have been welcome. But compared to some of the behemoths I’ve had in the Music Vault, I absolutely loved the Kawero! Classic’s overall dimensions of 47.6"H x 16"W x 19.4"D -- especially considering the sound that came out of these things. That sound . . . The Kaiser Kawero! Classic benefits sonically by one more important technical detail, which I discuss in this section of the review because it so closely correlates with what I heard. 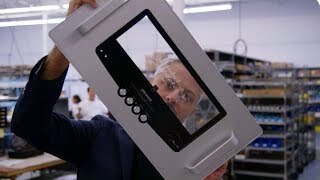 When designing the Kawero! Classic, Rainer Weber studied a body of research by Professor Jens Blauert, of the University of Bochum, Germany, who wrote Spatial Hearing: The Psychophysics of Human Sound Localization. 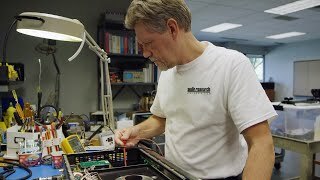 His research led Weber to design into the Kawero! Classic some very slight frequency-response shaping to accomplish some specific sonic goals. A slight peak between 5 and 8kHz is said to raise the virtual height of singers to about 1.6m, or 62”. Another slight peak, between 1 and 2kHz, purportedly deepens the soundstage. 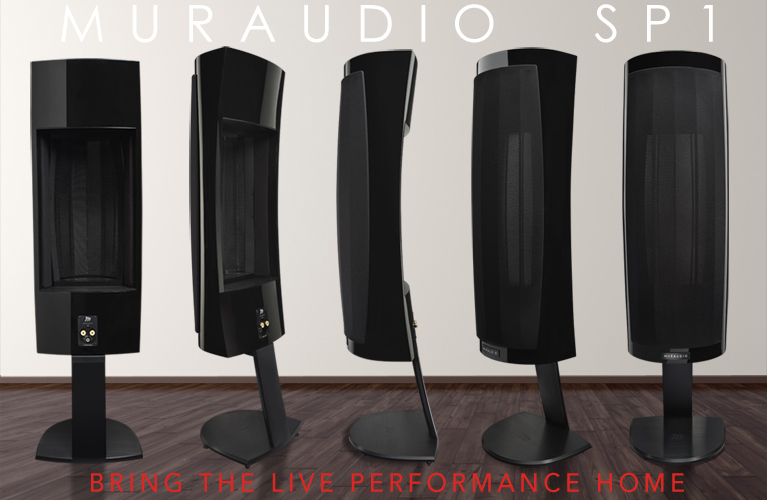 Unlike speakers that have ragged frequency responses because their designers haven’t been able to tightly control their acoustic outputs, such precise shaping of the response curve shows great command over the finer elements of loudspeaker design. I’ve heard a number of speakers that are essentially flat in their response, with low distortion, etc., and with many of them it’s taken me some time to sort out my reactions to their overall sound because that sound was so neutral and unassuming. This can be a good thing, but it can also lead to a speaker that has a hard time differentiating itself from similarly priced and designed competitors. The Kaiser speakers did not suffer from this. The first time I fired them up, I was blown away. The Kawero! Classic is the biggest-sounding midsize speaker I’ve ever had in my room. I don’t mean “biggest-sounding” as in overblown and unrealistic, but “big” in the sense that the Kawero! Classics could do all the things that really big speakers do so well. 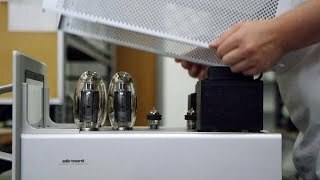 If you’re a fan of the huge monoliths that capture the hearts and ears of many audiophiles -- the speakers seen in “super systems” at audio shows -- then you must hear the Kawero! Classic in a setting you’re familiar with. Put on a recording that you know has ample space around the performers, or that casts a huge, wall-melting soundstage, sit back, close your eyes, and prepare to be amazed. The sound was simply huge, both in dimension and gravitas, and took me aback immediately. I picked an audiophile classic to listen to. Hearts of Space, released in 1993 by The Abso!ute Sound, has been part of my music collection for at least 15 years, and I’ve ripped it from CD (16-bit/44.1kHz AIFF, Hearts of Space). Listening to it through the Kaiser Kawero!s was mesmerizing. There were tons of ambient cues; low bass that, though subtle, expanded the apparent size of my listening room; and musical elements that generally created a spacious and beautiful soundscape. The Kaisers effortlessly cast a stage that expanded the walls of the Music Vault -- both to the sides and front to back -- and completely immersed me in the music. The speakers were soundstaging champs in regard to overall breadth, and to making performers of all types sound realistic in scale, and weighted just right in the context of other performers around them. Again, the operative term was big -- these speakers were like the ant carrying a huge leaf: the sonic heavy lifting they were doing in my room seemed impossible for anything their size. The other aspect of the Kaisers’ sound that added to the effect of realistic scale was their bass response. I cued up my longtime reference for bass weight, depth, and room-energizing power: “Norbu,” from Bruno Coulais’s music for the film Himalaya (16/44.1 AIFF, Virgin). This track begins with huge impacts from bass-drum whacks that quickly grow in energy to fully pressurize the room, as the low frequencies roll from front to back before the decay trails off behind the listening position. The Kawero! Classics reproduced this track in a commanding fashion, with excellent pitch definition in the initial whack, and then with enough guts to flex the room and, finally, reproduce enough detail in the low bass to let me clearly hear the decay. To put this in context: No, the Kaisers did not have the earth-shifting capabilities of the Rockport Arrakis or Magico Q7, but they were far more capable than something like the Sonus Faber Amati Futura or the Raidho C2.1. They split the difference between those two groups of speakers, getting far closer to the Rockports and Magicos than their size would seem to warrant. Tonally, the Kaiser Kawero! speakers were, perhaps surprisingly, not easy to pin down. With the admitted frequency-response shaping of their output, I would have expected to hear some anomalies in comparison to the more neutrally designed speakers I’ve had in my room over the past few years. To judge this, I listened to “Texas Rangers,” from Rebecca Pidgeon’s Four Marys (24/96 FLAC, Chesky/HDtracks). This track was instructive because, although I was listening for tonal characteristics that might reveal the Kaiser’s underlying design, what struck me hard was, yes, this singer’s height on the soundstage. I could pinpoint Pidgeon’s image, about 5’ tall, with great specificity -- she was perfectly centered, placed not out front and not too far back. Tonally, there was nothing to write home about. There was a woody quality to stringed instruments that invited me right into the music. The highs were not overly prominent in the mix, but nestled just perfectly within the body of the sound. Essentially, even if the tonal balance is the result of some engineering trickery, it worked quite well. What I heard from these speakers was generally neutral. I didn’t want to be unfair, but I guess there’s no way around it. I wanted to compare the Raidhos and the Kaisers because of their obvious similarities. Both have ribbon tweeters and some frequency-response shaping in order to give the listener a specific perspective on the music. The Raidho C2.1, however, retailed for $28,000/pair when I reviewed them in May 2012. At twice that price, the Kaiser Kawero! Classic should provide more bass, and have a greater ability to reproduce large-scale works with authority. They did just that, by perhaps a wider margin than you’d predict. The Kawero! Classic speakers could play considerably louder and cleaner than the Raidhos. 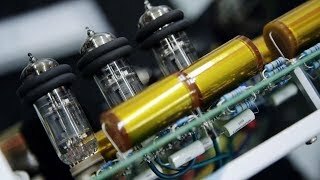 When I listened to “Low,” from Jonas Hellborg’s The Silent Life (16/44.1 ALAC, Day Eight Music), I stated in my review of the Raidho C2.1 that they “couldn’t quite reproduce the scale and physical propulsion of the bottommost frequencies that are required to make ‘Low’ come fully alive.” This, my most serious criticism of the Raidho, is something that many audiophiles would consider a fatal flaw, depending on the type of music they listen to and at what volume level. The Kaiser didn’t suffer from this flaw at all. I cranked “Low” up to about 95dB, and the sound was clean and powerful, even propulsive. More important, it was satisfying, in the way that big speakers satisfy man’s primal instinct to occasionally rock. In terms of everyday use, this was perhaps the biggest difference between the Raidho and the Kaiser. There were similarities, too. The Raidho was quite good when it came to meshing the sonic outputs of its cones and ribbon tweeter. I couldn’t hear the handoff at all -- the crossover was sonically seamless. I can say the same of the Kaiser Kawero! Classic: There was no hint that I was listening to two disparate driver types. In fact, the Kaisers “disappeared” into the soundstage (a much larger one, by the way) in just the way the Raidhos do. On the other hand, the Kaiser was not a resolution monster in the way that the Magico Q3 or, to an even greater degree, the Q7 is. 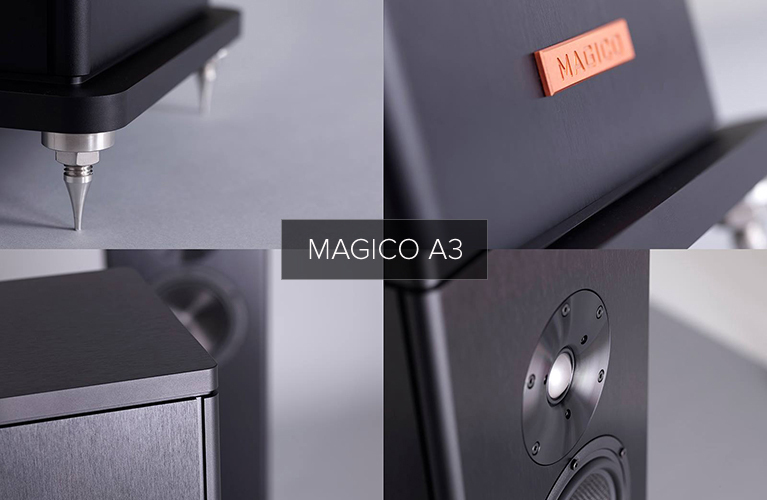 The Magicos are perhaps the highest-resolution speakers available today, and this allows listeners to dig deep into recordings, to hear every minute detail within a realistic soundstage. The Kaisers were more forgiving in this respect, more concerned with the overall picture as opposed to sorting out the smallest things on the soundstage. In this respect, the Kaisers may lend themselves to more varying quality levels of recordings -- they weren’t as picky. You’ll have to decide what, as a listener, you value most. Lastly, the Kaiser is far more substantially built than the Raidho. The finish is better, the cabinet much more inert when rapped, and the attention to detail a couple of notches higher. No, they’re not “military grade,” like the Magicos, but what else is? And you can dramatically change the Kaiser’s look with the multitude of finish options, which might make a pair just perfect for your listening environment. The Kaiser Kawero! Classic loudspeaker is just the ticket for someone who wants big-speaker sound in a package that will fit in spaces big speakers just can’t go. Big speakers -- the really good ones -- cost big money. The Kaisers cost big money, too, but nowhere near six figures. The Kaisers sound simply huge, with none of the negatives you might think that implies; e.g., a ten-foot-wide singer. There are times when you just want to kick back and relax into a massive soundstage, letting the music wash over you from seemingly every direction. 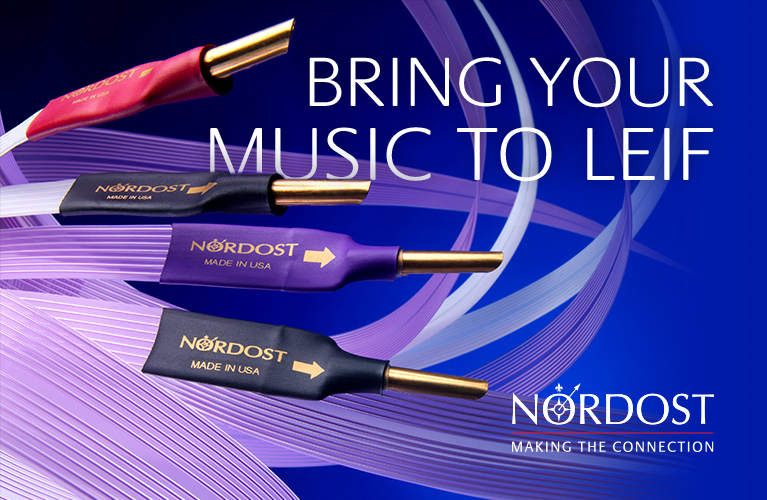 You want to feel the power of music in your chest, while letting the highs caress your ears with subtle but detailed sound. You want to occasionally open your eyes and be amazed that the beautiful yet modest structures in the corners of your room are doing all that and more. 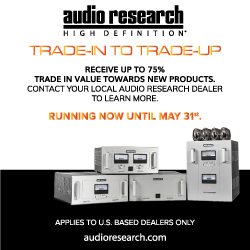 If this experience sounds like one you want -- and what audiophile doesn’t? -- I recommend you go hear a pair of Kaiser Kawero! Classics. And definitely hear them before you buy something that your spouse will say dominates the living room, and that might cost even more. I said at the outset of this review that I didn’t know what to expect from the Kaiser Kawero! Classic. Now I do, and my base of audiophile experience has been greatly enriched. They have a special sound. I think you’ll enjoy them. A lot.